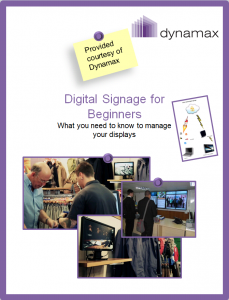 In one of our whitepapers- Digital Signage for Beginners– we describe 8 common traps people fall into when implementing digital signage for the first time. We thought it would be nice of us to share it on our blog, in the hope that it will help people avoid these common mistakes. 1) Not paying enough attention to the pre-selection phase. Obviously, going for the first vendor you come across is a risky move. Not preparing properly for your project will involve unnecessary pressure and might imply spending more than you would have done in normal circumstances. 2) Skipping the testing stage. Any respectable digital signage software provider will offer you the chance to explore the features and test the user-friendliness of their software before making a commitment. We, for example, allow you to set up a digitalsignage.NET account and use it for free until you’re ready to attach a player. Do take advantage of the chance to see how the product works at no costs for you. If you’re not given this option, disqualify the vendor. 3) Stale content. Digital information displays are all about timely communications and latest news. If you will display the same information week after week, you are wasting the resources invested in the system and are deterring your audience (be it students, customers, employees or any other) from considering it a viable source of information. 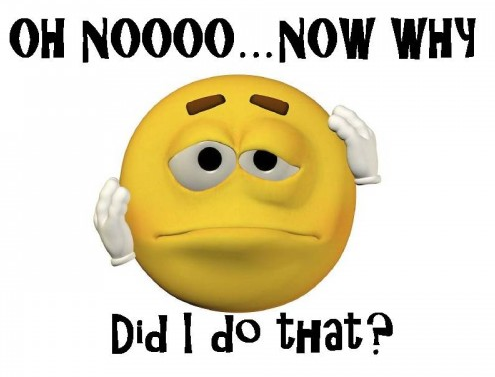 Check our article on content errors that could slash your system’s ROI. 5) Not requesting training when you feel you need it. In comparison with the costs of not using the system properly, the training-related expenses are actually an investment. Understanding how to use the software and what you can do with it allows you to maximize its utility and discover features you probably didn’t even know about, let alone making things easier for you on the long-term. 6) Choosing the wrong location for your screens. If they’re not visible, they’re useless. Spot the locations where your audience is to be found – like waiting rooms, lounges, elevators, or check out points and then install a screen (or several) there. 7) Not having clearly identified goals for your system. Arguably, before doing anything else you should determine what you want to achieve using digital signage. Is it more sales, informing and entertaining your hotel’s guests, generating extra- revenues through advertising, decreased perceived wait time for your customers or patients, inform staff quicker, better and at lower costs, strengthening your brand? You haven’t figured this out, then why would you make the effort of investing in the system? 8) Not measuring the system’s ROI and impact, after setting the goals. Besides informing, the displays are also about influencing its viewers’ behaviour (buy, attend, enquire etc.). Measuring the tangible effects of digital signage is not a straightforward exercise but it’s doable and you can start by monitoring the level of sales, enquiries, subscriptions-you name it- before and after installing digital signage. This entry was posted in Digital Signage and tagged #avtweeps, #digitalsignage, #proav, cloud based digital signage, digital signage by Dynamax. Bookmark the permalink. Have you ever considered adding more videos to your blog posts to keep the readers more entertained? I mean I just read through the entire article of yours and it was quite good but since I’m more of a visual learner, I found that would be more helpful. Well, let me know how it turns out! I love what you guys are always up too. Such clever work and reporting! Keep up the great works guys I’ve added you to my blogroll. This is a great article thanks for sharing this useful information.. I will visit your blog regularly for latest posts. Hi Trinh. Many thanks for your feedback and words of appreciation. Videos are part of our communication strategy so keep an eye on the blog. They will come 🙂 Feel free to share your thoughts with us in the future too, we are always glad to hear from our readers.